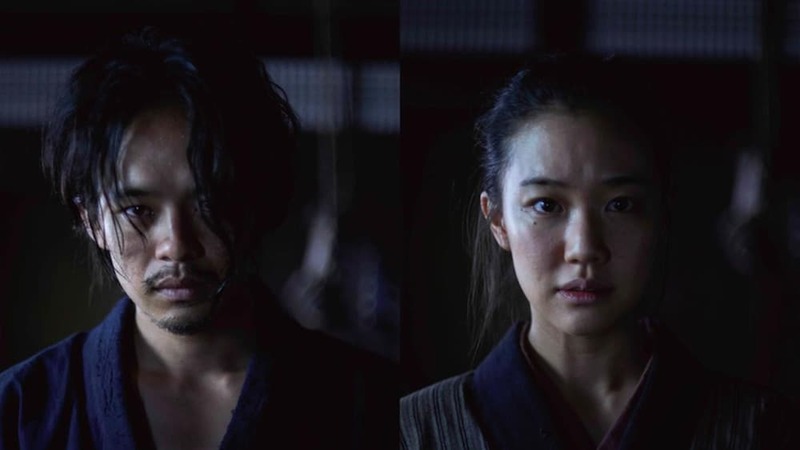 Trailer for New Japanese Film "Killing"
Internationally acclaimed Japanese director Shinya Tsukamoto (“Fires on the Plain” “Tetsuo The Iron Man” “Kotoko”) has completed production on his most recent project “Killing”. The film was produced by Tsukamoto’s “Kaiju Theater” and he serves as director, scriptwriter, cinematographer, and editor on the project. After about 250 years of peace in Japan, samurai warriors in the mid-19th century were impoverished. Consequently, many left their masters to become wandering ronin. Mokunoshin Tsuzuki (Sosuke Ikematsu (“Destruction Babies“, “The City of Betrayal“) is one such samurai. To maintain his swordsmanship skills, Mokunoshin spars daily with Ichisuke, a farmer’s son. Ichisuke’s sister Yu (Yu Aoi “Turtles are Surprisingly Fast Swimmers“, “Tokyo Ghoul) watches them train with a hint of disapproval although there’s an unspoken attraction between her and Mokunoshin. While farm life is peaceful, there is monumental turmoil in Japan. The US Navy has sent Commodore Perry to Japan to insist that it trades with them. This in turn causes civil unrest. Yu is concerned as she senses that Mokunoshin will soon leave to join the impending civil war, and consequently die. One day the three of them come across two dueling samurai. The winner is Jirozaemon Sawamura, a mild-mannered yet skillful ronin. Sawamura stays in the village to look for other potential warriors when a group of outlaw ronin arrives. The villagers have heard terrifying rumors about the outlaw’s leader, Sezaemon Genda. When the hot-blooded Ichisuke takes on the outlaws, the direction of their lives drastically changes. The film will be appearing in this years Venice film festival and is slated for release on November 24, 2018. A teaser for the film has been released by Nikkatsu.